Especially directed at women in the intercultural neighborhood is the computer club that was founded in the community center “Raum vor Ort” in summer 2015. 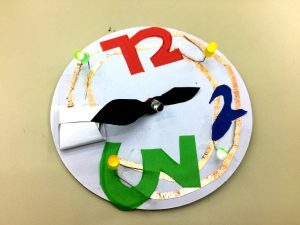 The club offers the chance to explore the computer as a tool, acquire computing skills and related knowledge, as well as to find local orientation and guidance and to network. In the long run, it wants to support the commencement of once begun as well as newly chosen educational paths. 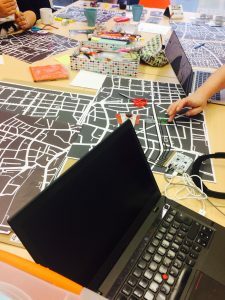 My neighborhood – We’re exploring our quarter and we’re creating audio pictures from this experience. 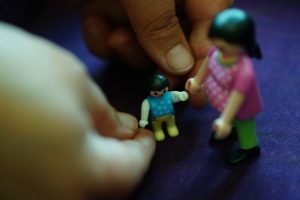 Storytelling – Migrant histories are being explored and told in pictures, sound and text. Everything flies! 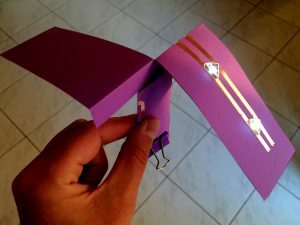 – We’re creating illuminated helicopters and paper planes and have these compete in a flying contest. Which construction will win? 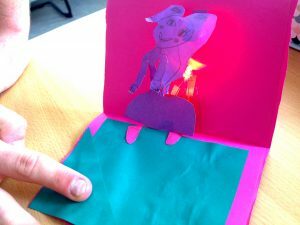 Paper Circuits – Club participants create light-up pop-up cards and origami projects. Social Media – Club participants explore different means of online presence and communication and also talk about data security and privacy.